The African Straw-coloured Fruit Bat is the second largest fruit bat in Africa. It can have a wingspan up to one metre and adults can weigh up to 350g. These bats are very strong fliers, with long, pointed wings built for endurance over agility. Because of this, they can’t manoeuvre in tight spaces and find their food in the more open upper canopy layer. Their bodies vary from the straw colour of their name to pale yellow or dark brown-grey. These bats are highly gregarious. They form colonies of up to 100 individuals which roost together during the day in tall trees or caves. Once a year they come together in their millions to Kasanka National Park, Zambia, in the world’s largest mammal migration. 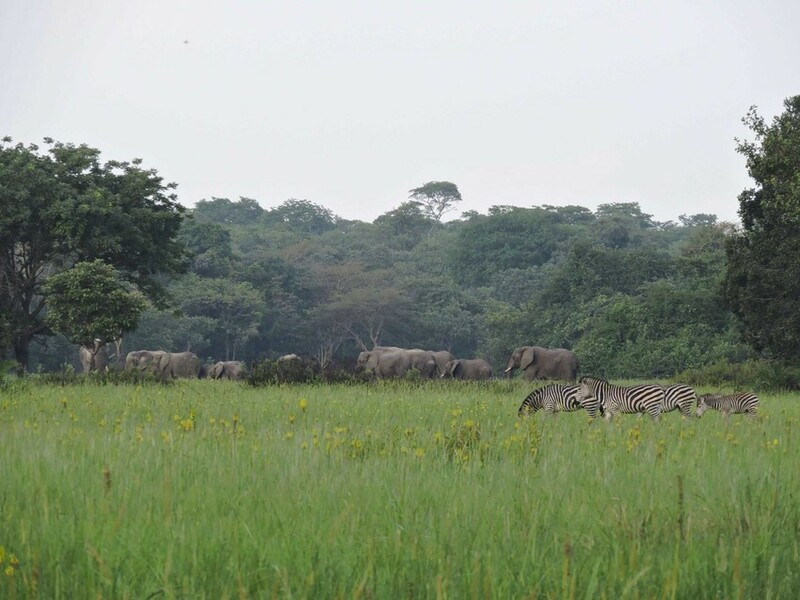 They are able to travel thousands of kilometres each year, and have the furthest recorded migration of any African mammal. The bats come to Kasanka to feast on the abundance of fruit which the forest produces after the first rains, and will eat up to twice their bodyweight each night. This gives the bats the energy reserves for the rest of their long migrations across Africa, and is especially vital for pregnant females. The Straw-coloured Fruit Bat lives in a wide range of habitats across sub-Saharan Africa. It prefers moist and dry tropical forests, because there is so much fruit – although they also eat blossoms and young shoots of silk-cotton trees – but will use various other forest habitats and even urban areas. These bats are heavily harvested for bushmeat in West and Central Africa, and this is a main reason for local population declines. The greatest threat to the species as a whole is deforestation in certain parts of its range. 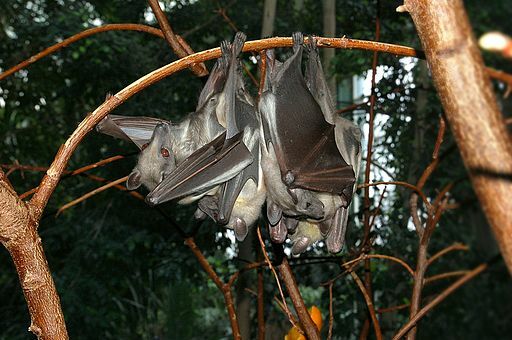 In some areas the bats are considered pests and roosting locations are destroyed, eliminating the roosting colonies and at the same time harvesting bats for the food and medicine markets.